Studio H - Steven W. Heili Interiors L.L.C. Established in 2011, with the tag line "Interior Design For The New Normal", Studio H was formed to bring Interior Design to the masses by evaluation of lifestyle, function and most importantly, design that fits into their wallet. We specialize in residential and commercial interior design encompassing new construction, remodeling, kitchen and bath design, space planning and an array of other specialized services. Our goal is to create a space for our clients that reflects their point of reference and most importantly feels like it when completed. We test products and are conscientious about their application and aesthetic prowess and value to the end result - yours. With our ability to mix materials and finishes together, a high level of construction knowledge, and a goal of building long term relationships and trust with our clients and allied professionals, we aim to prove that good design should be experienced by everyone - especially you. We can work with a budget to make a cost effective end result present itself aesthetically as one that cost thousands more. With Studio H, experience the "new normal" now - in good taste. 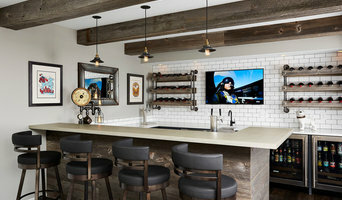 Best of Houzz 2012-2019 | With locations in Minnesota and Texas, we work with homeowners from coast to coast to design and furnish their interiors. Contact us today for more information! Martha O’Hara Interiors designs beautiful spaces with the goal of connecting life and style. Finding that enviable mix of style and warmth that exudes your true aesthetic and sticks to your budget - it's what we do best! Whether you are building, remodeling, or updating your furniture, our award-winning team will create an interior that is tailored to your tastes and lifestyle. With locations in Minnesota and Texas, we work with homeowners and building professionals from coast to coast. Kerith studied interior design at the University of Minnesota and has been in the home furnishings industry for close to twenty years. She is in her element when she is immersed in a project that requires creative design solutions with an emphasis on amazing coordination of colors and textures. The complete design, giving her clients beautiful, functional spaces that exceed their expectations, is her top priority. Kerith believes that truly getting to know her clients is the most important component of great design. She gets excited for them as the design process unfolds and she begins to envision all the fabulous possibilities that she can provide with Ethan Allen’s diverse assortment. The Time 4 Design is a Minnesota interior design and Home Staging firm that offers flat fee design coaching and a complete menu of design services. From design concept to completion we work hard to create a streamlined and enjoyable experience that meets your desired expectations. The Time 4 Design has a creative process that is enhanced by a team of diverse designers that are able to accomplish your vision with a high level of understanding. We are experienced in working with builders, contractors, realtors and homeowners to oversee small and large construction projects, redesigns, home staging, consultations and more. The Time 4 Design can develop a short or long term plan, create a budget and make your decorating dream a reality. A good home design professional will hone your style down to its very essence and be able to choose a functional layout that feels natural to you. Interior design companies can be involved as much or as little as the client desires. 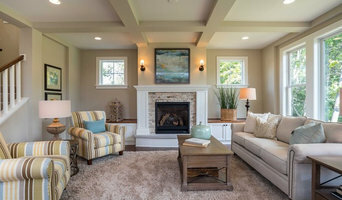 Many clients who hire an interior decorator in Prior Lake, MN — particularly those who are remodeling — have a good sense of how the room should look and what products they should use. Often clients will insist that interior decorators use the products already present in the house. Other times a designer will need to start from scratch — especially if this is a newly purchased or just-built home. An interior design company will need to figure out exactly what the client needs, which includes organizing rooms, picking flooring and wall colors, and finding furniture to complement it all. Sometimes that means he or she will have to recruit help from other Prior Lake, MN home professionals to help create the perfect look for your renovation. Here are some related professionals and vendors to complement the work of interior designers & decorators: Architects & Building Designers, General Contractors, Home Builders, Design-Build Firms, Photographers. Do your research before meeting with an interior designer or home decorator in Prior Lake, MN. Ask yourself what you want your space to become and what it will be used for. Figure out the extent of what you need help with, what your must-haves are and what your budget is. Interior design services can add up fast, so be up front with a potential design firm or individual from the beginning. Also, pick an interior decorator that fits your style. Browse through the portfolios of different Prior Lake interior design firms and decide if you would live in those houses. Just because you like something doesn’t mean you could live in it. There's a big difference! Find an interior designer or home decorator in Prior Lake, MN on Houzz. 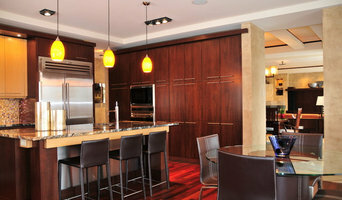 Narrow your search in the Professionals section to find Prior Lake interior designers near you. 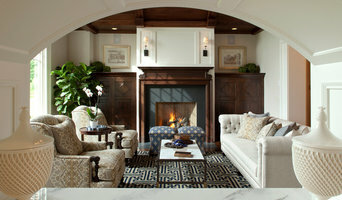 You can also look through Prior Lake, MN photos to find a room you like, then contact the design firm who designed it.